With the passing of Margaret Thatcher, many civilians and politicians herald her as a trailblazer as the first female Prime Minister of England. Yet, several protests have already happened and many are set to happen when Thatcher is laid to rest this coming Wednesday. Unlike protests in pre-Twitter eras, social media plays a prominent role. +Officials are currently combing social sites to preempt any possible protests or disturbances. 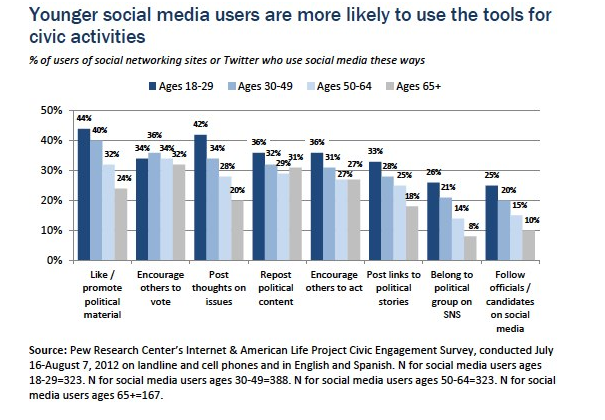 Social media’s influence in the political arena will only continue to grow as its usage rises. Here are a few recent political events in which social media has played a leading role. In January 2011, social media mobiled thousands of Egyptians in an effort to overthrow Egyptian President Hosni Mubarak. With the help of Facebook and videos on YouTube, media on these outlets spurned an Egyptian revolution. Many thought the 2012 presidential election could be predicted via social media. Reports after the election noted that Twitter sentiment for election result was split. Although the data was mixed on social media’s ability to predict an outcome, it is notable that the most popular tweet of 2012 was from President Barak Obama immediately before he took the stage to announce his election victory. His “four more years” tweet was retweeted over 800,000 times and favorited over 300,000 times. Question: How has social media reframed your political landscape? This entry was posted on Monday, April 15th, 2013 at 5:10 am	and is filed under Facebook, Twitter. You can follow any responses to this entry through the RSS 2.0 feed. You can leave a response, or trackback from your own site.